What are your costs ? All quotations are calculated on an individual basis. This is because every event is different and costs depend on the location of the venue and the time we will be on site. When you complete our easy quote request form we will break down the costs of all required services. Do you charge VAT ? We are not VAT registered at this moment in time so the price you are quoted will be the price you pay with no hidden extras. How much is the deposit ? Deposits are usually around 25% of the total cost of your required service. The balance on your account is requested upon invoice a month before the event. How long does it take to set everything up? We will require 1 hour minimum to set up, sound check and co ordinate the lighting. Sometimes this may be slightly longer if Creative Mood Lighting or Name Projection is being installed. For a small additional charge we can set up before your meal to cut down on the transition time between the end of your speeches and the first dance. We will require 1 hour to pack up and vacate the venue. Do you need to be provided with a meal or drinks tab ? Some companies request this as part of their contract, however we do not insist on this. You can be rest assured we will NOT take advantage of your buffet or drinks tab as it is unprofessional. If I book a dancefloor when can this be set up ? Ideally your dance floor should be set up in the morning or at the very least before your guests arrive at the venue. If it is not possible to lay the floor at this time due to the table arrangements then sometimes we can set up after the meal. Will I get a signed booking confirmation ? Choice Entertainment always confirms all bookings by way of a signed contract of service and provides a receipt for all monies paid. For your peace of mind you should insist signed documents from any supplier. What will you wear ? We usually wear smart casual clothing unless specifically requested, for example black ties events. We WILL NOT wear innapropriate clothing for your special event. Do you have a contingency plan ? Yes we have a contingency plan for all unforseen circumstances including a back up DJ in the event of sickness and Roadside Relay in the event of a breakdown. We always carry back up equipment including mixers, speakers, lighting and music. Are you insured ? We have Public Liability Insurance (PLI) to the value of £10million and our equipment is Portable Appliance Tested (PAT). These documents will be made available to venues and wedding coordinators upon request. Do you have any specific power requirements ? We require at least two 13-amp UK sockets in close proximity of wear the equipment is to be set up (preferably 5 metres). If power is being supplied to a marquee then this load should not be shared with any other appliance, for example a dishwasher. Can we see you play before we book ? We have to respect our clients privacy at all times so this cannot be arranged for private functions. However we have a testimonials page and these clients have consented to be contacted by telephone to provide verbal feedback if required. 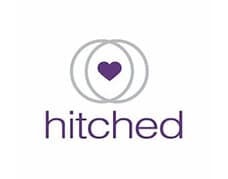 You can also see independent reviews of our service on the hitched wedding planning services website and on our facebook group. We are also happy to meet you locally prior to you making a booking at a time that suits you. Will you play the music we want ? A lot of our work is taken on recommendation and we always welcome the music our clients want to hear. We are also happy to take guest requests if you wish. Will will not set up a playlist and walk away , play music you have stated you dont want to hear or attempt to mix innapropriate genres of music. Music and lighting is covered in depth on our weddings page. What happens if we want music you do not have ? We have a huge library of music, however from time to time clients may request a song we do not have. In the event of this we will purchase music directly from iTUNES upto the value of £10. Alternatively you can send us music in advance of your event. We can also download music on the night if required subject to an internet connection at the venue. In the event of world music being requested, you may be asked to supply us with a CD or memory stick prior to the event. Will you be able to play overtime if required ? Yes if this is booked in advance, overtime costs will be detailed seperately when we quote you. If overtime is not booked in advance it is likely we will stay however please be aware that we cant guarantee this, as this will depend on our working pattern for the following day.